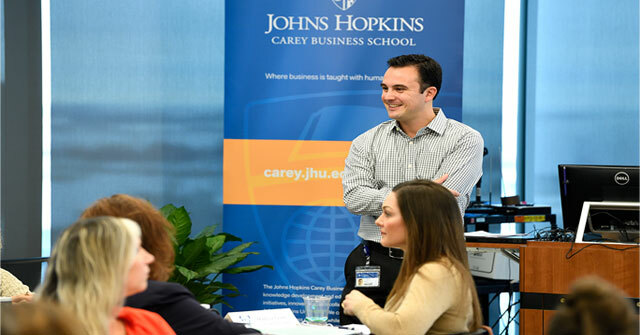 Position yourself for advancement with an Executive Certificate from the Johns Hopkins Carey Business School. Get the skills you need to advance your career and enhance your resume with credentials from a top-tier, accredited institution that employers trust. For both upwardly bound professionals and potential career changers, Executive Education Certificates offer a budget-friendly, time-saving way to improve your potential and set yourself apart from the competition. Our Executive Education Certificates are taught by industry-leading professionals and provide a variety of competencies to meet individual needs. Courses teach everything from innovative strategies and effective communication to leadership capabilities and specialized skill sets. Ready to embrace your role as a creative problem solver that leads teams to innovative human-centered design solutions? 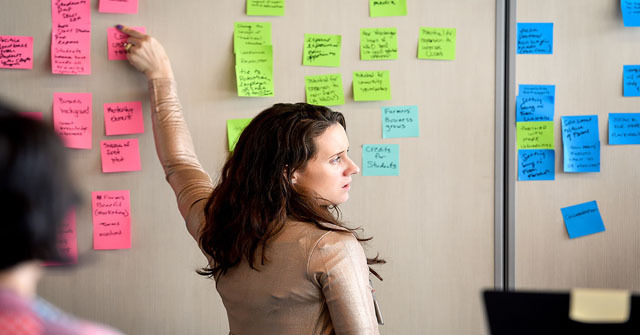 Earn an Executive Certificate in Innovation and Human-Centered Design by taking three designated design thinking courses that help you evolve from curious beginner to critical thinker, and ultimately a trained facilitator to lead your own teams and organizations to success. The Executive Certificate in Health Care Leadership and Management is a five-day course that spans consecutive weekends. Sessions address principles of organizational design, critical management skills, tools for effective leadership, and strategies for successfully implementing organizational change. 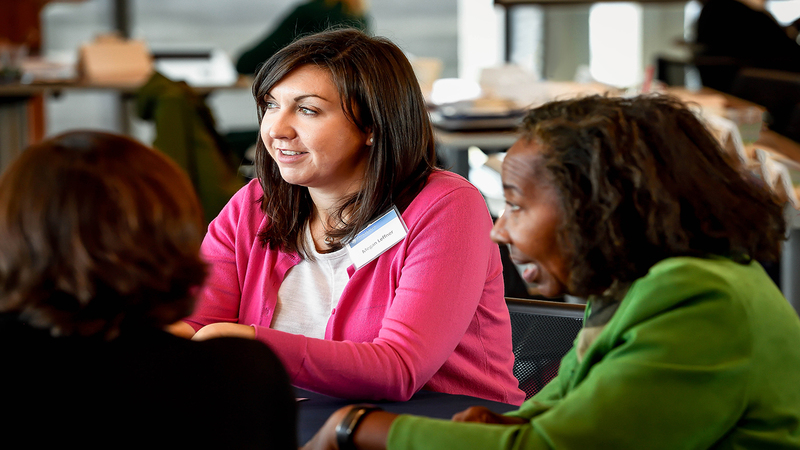 Through cutting-edge research, world-class instructors, and real world simulations, participants will expand their leadership potential and establish a framework for understanding dynamic organizations. Enhance your business communication skills and discover strategies to captivate any audience. Earn an Executive Certificate in Business Communication and you'll receive dynamic training to help you communicate with confidence. No two industries are alike and neither are the paths to leadership. With a Management Development Certificate, you will be empowered to build a framework to help drive your own personal management success by tailoring an experience unique to your needs. The journey begins with the Foundations of Leadership and Management course. From there, you can chart your own path towards professional growth with three additional management courses of your choice.